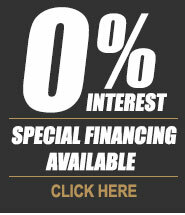 12 Months Intrest Free Financing! Price Point Furniture currently offers financing programs with special terms through our partner Synchrony Bank. $39 Down No Credit Needed Financing! Shop with Confidence – No Credit Needed! No Credit Needed and up to $3000 approval! Lease-to-own terms can be a more budget-friendly option to those who need affordable payments. Early payoff options make rent-to-own a flexible way to balance your budget.